As reported by the Nashville Post (via Spin), guitar company Gibson might be on the verge of bankruptcy. The company’s new CFO, Bill Lawrence (not the TV guy), left Gibson after less than a year, and $375 million in senior secured notes will mature in six months along with $145 million in bank loans that Gibson will have to pay back if it doesn’t refinance those notes. In less-technical investment terms, that means Gibson needs a good amount of money by this summer or it’s going to be in trouble—or more trouble than it’s already in. The Nashville Post story says that “observers” believe Gibson owner and CEO Henry Juszkiewicz is on the way out because of this, and a Debtwire reporter told the Nashville Post that it’s just a matter of time before “the debtors or the bondholders” take over Gibson. 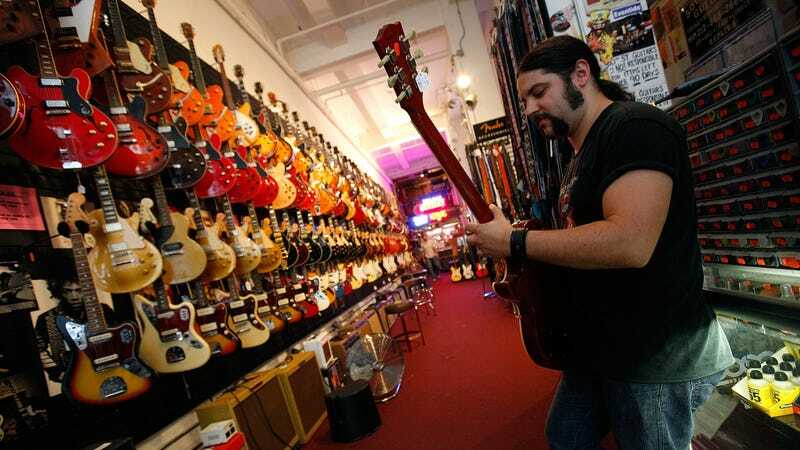 Oddly, the company is still a “very stable business” and should be “sustainable,” but Gibson is being held back by “a balance sheet problem and an operational problem,” necessitating some kind of restructuring.